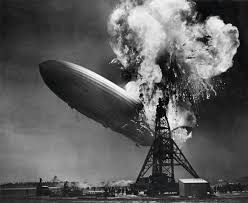 There are only a hand-full of events in history that have the notoriety of the Hindenburg disaster. The crash occurred in Lakehurst, New Jersey on May 6, 1937 after a flight across the Atlantic Ocean from Frankfort Germany. Today, Heroes, Heroines and History will share a little about the Hindenburg’s history. Here are seven things you may have . . . Or may not have known about the Hindenburg airship. 1. The Hindenburg wasn’t the first passenger airship. For more than thirty years prior to the Hindenburg disaster, thousands of people flew on multiple commercial zeppelins all around the world—and without one injury. 2. Passengers traveled in complete luxury on the Hindenburg. They enjoyed indulgent meals in an extravagant dining room. Relaxed in a modern lounge while listening to piano music played on an aluminum piano. Slept in comfortable cabins, and all while traveling from Europe to South or North America in less than half the time as the fastest ocean liner. 3. Shockingly, in a metal frame, fabric balloon, filled with flammable gas, flying hundreds of feet in the air over the Atlantic Ocean, there was even a gentleman’s smoking room. Yes, that’s right. A pressurized room with an attendant who passed out cigarettes, Cuban cigars and lighters as one entered and who also made certain all flammable materials were extinguished and accounted for before the patrons left the room. That’s a scary fact. 4. Though the Hindenburg didn’t have a full manifest on the fated voyage to the United States, the return trip, if it had happened, was completely booked. Interestingly, many return voyage passengers planned to attend the coronation of King George VI and Queen Elizabeth of England. 5. 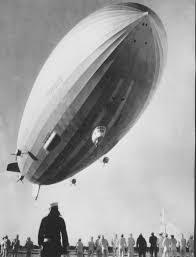 There were thirty-six passengers and sixty-one crewman aboard the Hindenburg’s last flight. Of those, thirteen passengers, twenty-two crewmen and one groundsman died either in the crash or hours later from injuries sustained from the crash. Though the survival rate seems miraculous, the Doehner family’s story is an example of the tragedy. Mrs. and Mr. Hermann Doehner were in the dining room with their three children, Irene age 16, Walter age 10, and Werner age 8. They gathered to watch the landing from the wall of windows. For an unknown reason, Mr. Doehner left the dining room before the fire broke out. As the ship was rocked by the initial explosion, Irene left to find her father. Mrs. Doehner and her sons were able to jump to safety, but Irene and Mr. Doehner perished in the crash. 6. Zeppelins were an established way to carry mail across the Atlantic Ocean. The Hindenburg carried almost seventeen-thousand pieces of mail in its cargo area. About a hundred and fifty of those letters or documents had been stored in a protective box and survived the extreme heat and flames. Those pieces of mail were eventually delivered to their intended destinations. 7. During this time in history, news reporting was commonplace. Though Zeppelin airship flights weren’t unusual, a landing in the United States was, so, newsmen were on hand to record the event. A reporter for the Chicago radio station WLS, recorded one the most famous eyewitness reports in history. A little-known fact that his dramatic and emotional account wasn’t actually a live event. The recording wasn’t heard in Chicago until that night and the rest of the country until the next day. Here’s a transcript of his reporting. If you have a chance look up the audio of the recording. It truly gives an idea of the terror of the crash. It's practically standing still now they've dropped ropes out of the nose of the ship; and (uh) they've been taken ahold of down on the field by a number of men. It's starting to rain again; it's... the rain had (uh) slacked up a little bit. The back motors of the ship are just holding it (uh) just enough to keep it from...It's burst into flames! Get this, Charlie; get this, Charlie! It's fire... and it's crashing! It's crashing terrible! Oh, my! Get out of the way, please! It's burning and bursting into flames and the... and it's falling on the mooring mast. And all the folks agree that this is terrible; this is the worst of the worst catastrophes in the world. Oh it's... [unintelligible] its flames... Crashing, oh! Four- or five-hundred feet into the sky and it... it's a terrific crash, ladies and gentlemen. It's smoke, and it's in flames now; and the frame is crashing to the ground, not quite to the mooring mast. Oh, the humanity! And all the passengers screaming around here. I told you; it – I can't even talk to people, their friends are on there! Ah! It's... it... it's a... ah! I... I can't talk, ladies and gentlemen. Honest: it's just laying there, mass of smoking wreckage. Ah! And everybody can hardly breathe and talk and the screaming. I... I... I'm sorry. Honest: I... I can hardly breathe. I... I'm going to step inside, where I cannot see it. Charlie, that's terrible. Ah, ah... I can't. Listen, folks; I... I'm gonna have to stop for a minute because I've lost my voice. This is the worst thing I've ever witnessed. Did you discover anything new about the Hindenburg crash? Are there other historical events that have had as much notoriety as the Hindenburg? In the comments below, please, share your thoughts. Now that we know a little about the history if the Hindenburg, perhaps next month we’ll take a look at the possible cause of the disaster. Until then, have a safe, blessed and happy autumn season, my friends. Multi award-winning author, Michele K. Morris’s love for historical fiction began when she first read Laura Ingalls Wilder’s Little House book series. 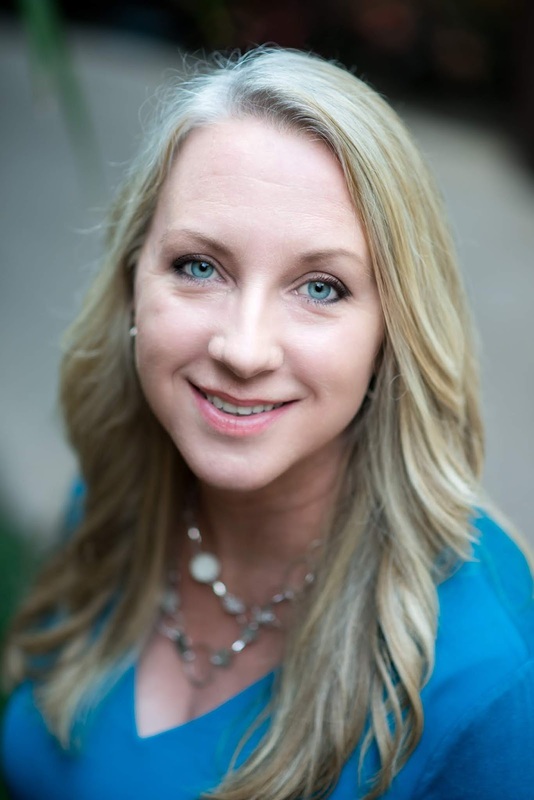 She grew up riding horses and spending her free time in the woods of mid-Michigan. Married to her high school sweetheart, they're living happily-ever-after with their six children, three in-loves, and ten grandchildren in Florida, the sunshine state. Michele loves to hear from readers on Facebook, Twitter, and here through the group blog, Heroes, Heroines, and History at HHHistory.com. Thanks for the post. That transcript is heartbreaking. I think of things like President Kennedy's assassination and the Challenger explosion; moments when reporters were so struck by what had happened that they could barely speak. Yes, Connie. Two good examples. President Kennedy's assassination was a little before my time but I remember the Challenger well. So, heartbreaking. Thank you for the comment. I remember seeing a movie about the Hindenburg. It's really amazing so many people survived. The biggest tragedy that first comes to mind is 9-11. Another one is the Oklahoma City bombing. I turned on the TV to watch while I was folding laundry and was shocked, especially considering I'm an Oklahoma gal.